Take the first step towards becoming a skilled yogi and a better self with us. witness to spiritual learning and elevating experience. 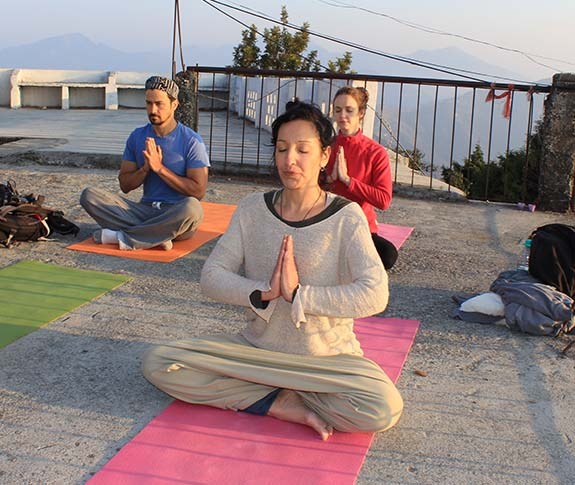 In the ambush of a fast-paced lifestyle, restore the body-mind health to its full glory and connect with the inner-consciousness through Rishikul Yogshala's yoga teacher training in Delhi. Immerse yourself in the practice and share your knowledge with the world to spread the light of yoga. 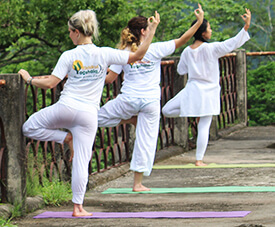 With comprehensive yoga training amidst a peaceful setting, the program offers the perfect amalgamation of rejuvenation, learning and an enriching experience. Step ahead towards peace and transformation with yoga courses in Delhi. Delve into the metaphysics of yoga and spirituality on a more sincere and deeper level. Evolve into a skilled and globally recognized yoga instructor with yoga teacher training courses in Delhi at Rishikul Yogshala. Embracing the pragmatic yogic lifestyle certainly fosters contentment and bliss into a practitioner's life. So much so, it becomes an integral part of his/her life. The yoga journey in Delhi transports the practitioners into the land, where well-being is holistic, the mind is rejuvenated, and the soul is uplifted. There are several who aspire to become an instructor of this healing science so that they can bring the joys of yoga to mankind. With Rishikul Yogshala, embark the yogic path of becoming a sincere practitioner and skilled yoga teacher through its Yoga Alliance teacher training in Delhi. 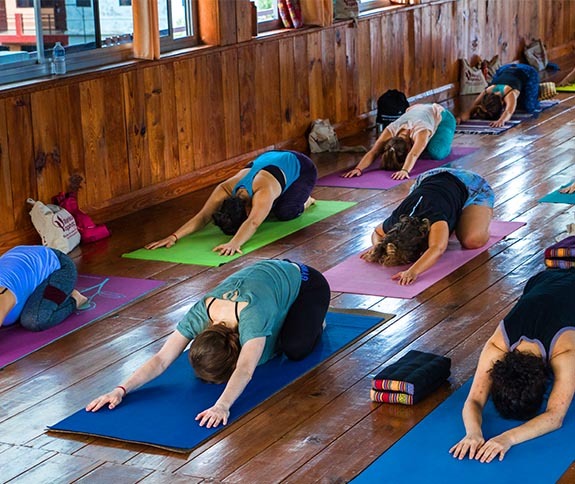 With devotion, love, and virtuousness Rishikul Yogshala has established itself as one of the highly reviewed and reputed yoga schools in India. 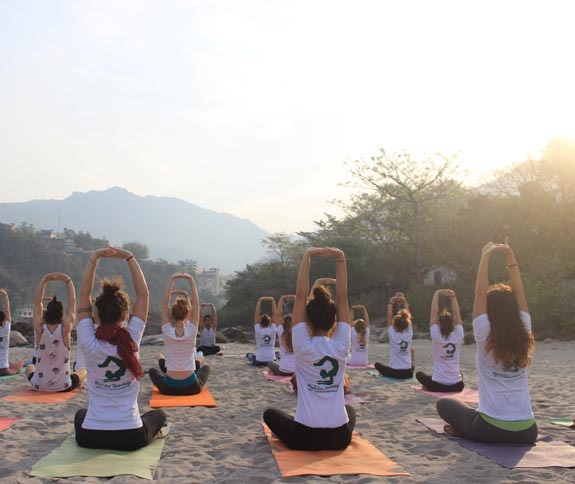 Founded in 2010 in the yoga capital of the world “Rishikesh,” the Yogshala is accredited to the Yoga Alliance USA and Yoga Alliance International. 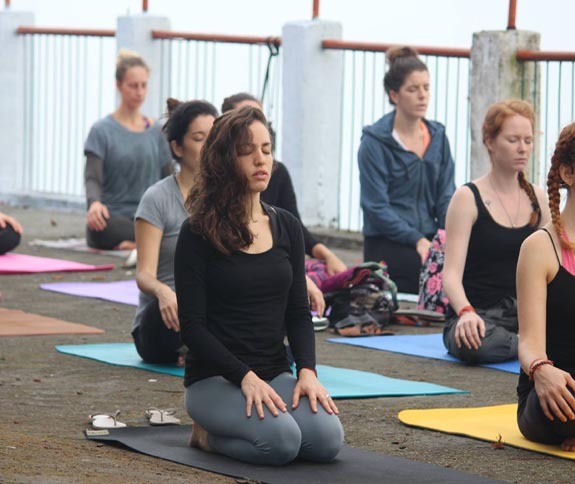 While spreading the science of yoga in the breathtaking locations of India and world through its finest yoga teacher training programs, the school now aims to deliver the wisdom of science of yoga to the residents of Delhi. With sheer humbleness, the school offers diverse yoga courses in Delhi covering the study of traditional and contemporary yoga subjects allowing the encumbered souls to experience liberation and physical-mental healing. 200-Hour Yoga Teacher Training: This yoga certification in Delhi is the beginner level course designed for novice practitioners. 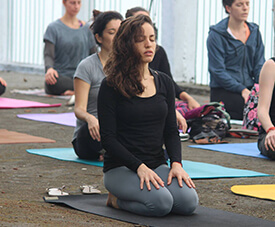 During the course, yoga lovers are entrenched in the basics of yoga and spirituality as well as are encouraged to imbibe the pragmatic yoga lifestyle. At Rishikul Yogshala, the 200-hour yoga certification courses in Delhi proceeds under the supreme guidance of yogic experts helping the students live the yogic lifestyle lifelong. 300-Hour Yoga Teacher Training: Take a maiden leap in your yogic journey with 300-hour yoga training in Delhi. Designed and suitable for successful graduates of 200-hour YTTC desiring to advance their learning and practice of yoga. The course introduces the yogis to the advanced study of traditional yoga subjects escalating their understanding and practice on a deeper level. 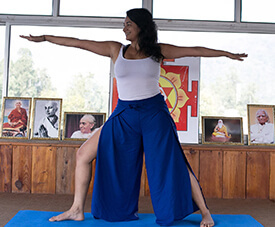 Hatha Yoga Teacher Training: Become a celebrated Hatha Yogi with the knowledge of Hatha yoga at Rishikul Yogshala. Explore the well-orchestrated wisdom of Hatha Yoga including Asana, Pranayama, Meditation, Yoga Philosophy, Teaching Methodology and more. Ashtanga Yoga Teacher Training: Evolve into an Ashtangi with Ashtanga yoga teacher training in Delhi. Immerse yourself in the Ashtanga yoga wisdom as coded by K. Pattabhi Jois with us and transcend the mental and spiritual obstruction. 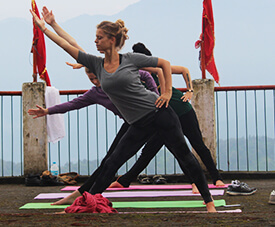 Undertaking yoga teacher training programs in Delhi at Rishikul Yogshala is your chance to gain yoga knowledge in its true form that only inspires you to stay devoted to deepening your yoga learning. 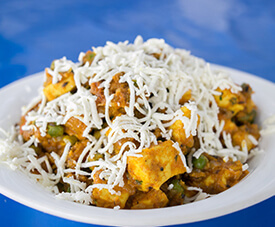 Awaken the dormant spirituality with the teachings of Yoga Philosophy and other spirituals subjects under the tutelage of traditional Indian yoga gurus. We are an internationally registered yoga school. Upon successful completion of the yoga teacher training program with us, you get awarded with Yoga Alliance certificate granting you the liberty to spread yoga wisdom across the globe as a validated yoga teacher. Through the Ashtanga and Hatha yoga teacher training in Delhi, become a yogi of these two classical yoga forms in the most sacred manner. Gain the understanding of traditional yoga subjects and skills to conduct yoga classes from the revered yoga masters with legendary minds. At Rishikul Yogshala, learn, share, and practice the art of yoga in an ideal environment ensuring transfiguration on deepest levels. Engage and master the art of controlling the breath and mind through Pranayama, Meditation practices assisted by experienced yoga teachers. As a student of Rishikul Yogshala, you get the prestigious opportunity of seeking guidance and indulging in enlightening talks with teachers and experts at any time of the day during the tenure of the course. As a yoga school of high repute and years of experience in conducting yoga teacher training programs, we duly understand the need and requirements of each student. So, our teachers pay personal attention to the deep assimilation of the student’s needs and hence provide yoga teachings on a personal level.